While Beach Acres Resort offers a world away on its 23 acres, it is also surrounded by new adventures in every season. Explore local parks and playgrounds, make family memories mini-golfing, check out Coombs’ goats on the roof, or enjoy the surprising powder snow of Mount Washington. A Vancouver Island vacation offers something for everyone, and Beach Acres Resort is at the heart of it all. 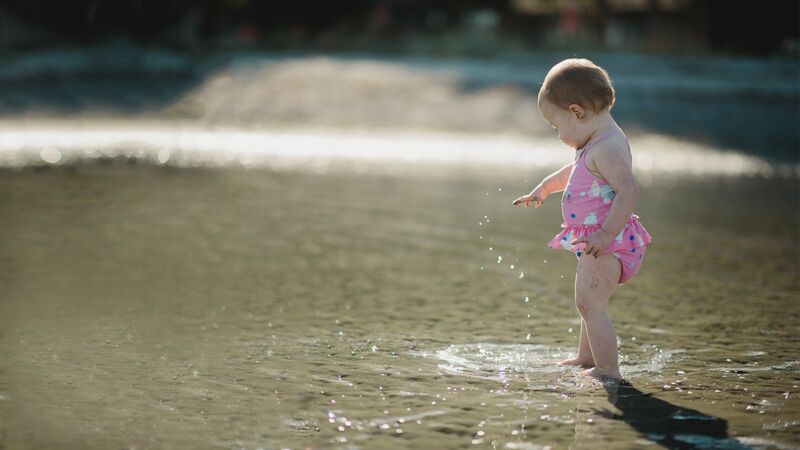 Rathtrevor Provincial Park is just a short beach walk from Beach Acres Resort, but it’s only one spot to explore the natural wonders of Vancouver Island. Horne Lake Caves, Englishman River Falls and Cathedral Grove are all a short drive from the resort. Nearby Mount Arrowsmith is one of only 13 UNESCO designated Biosphere Reserves in Canada and 1 of only 500 worldwide. And world-famous Pacific Rim National Park Reserve, with the wild vastness of the open Pacific Ocean, is just a day-trip away. In all, eight provincial parks and five regional district parks dot this region. For more information visit the provincial government parks site. 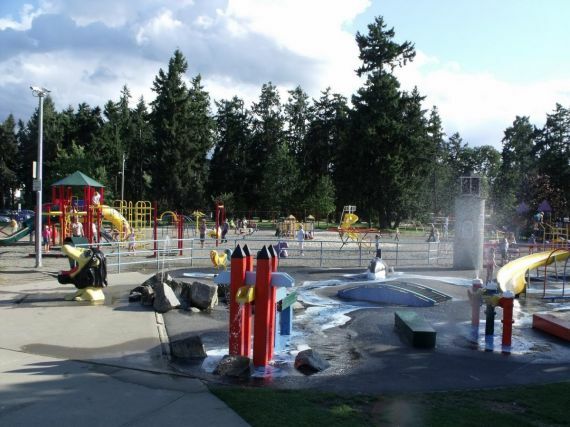 Parksville’s Lion’s Venture Land playground justifiably claims the title of “the funnest playground in the world.” Head to downtown Parksville for hours of family fun, and be sure to take your swimsuits and beach towels to enjoy the water park. Ask any Vancouver Islander where the best mini-golf on the island is, and they will undoubtedly name one of Parksville’s great family-fun courses. Butterfly gardens, a wildlife refuge, fish hatcheries, and botanical gardens call to the nature lover who visits Beach Acres Resort. If you really want to savour your holiday, gourmet options galore include cheeseworks, wineries, craft breweries, and specialty bakeries. Farms and markets, gardens and boutiques – just ask our friendly staff about their favourite local place, or visit the links below. While the Parksville area is so warm it’s sometimes referred to as “the Canadian Riviera,” it‘s only a short drive from some of the best snow in western Canada at Mount Washington Alpine Resort. Whether you ski, snowboard, or just want to tube with the kids, Mount Washington’s annual average of 10.5 metres of snowfall is waiting for you. There are also 55 kms of cross country trails and 20 kms of snowshoeing trails if you want a slower pace. Mount Washington offers classes for all ages and skill levels and full or partial rental packages if you don’t have your own gear. Sign up for our newsletter to hear about our ski specials. Giant car shows, indoor and outdoor art fairs, an endless schedule of concerts and music festivals, and the International Sand Castle Building Championships all call the Parksville region home. The highways and side roads are dotted with an amazing variety of artist studios and galleries. Ask at the resort office for a Blue Brochure full of self-guided tours. For the history buff, the Qualicum Beach Museum will introduce you to the local First Nations history, while the Craig Heritage Museum in Parksville tells tales of the area’s first European settlers and farmers.